Anyone looking for a protein packed breakfast that is delicious, quick to prepare and not egg-based? Have I got a treat for you! This recipe came my way courtesy of my cousin Trinati G of motherinthewild.com who got it from our other cousin Katie. 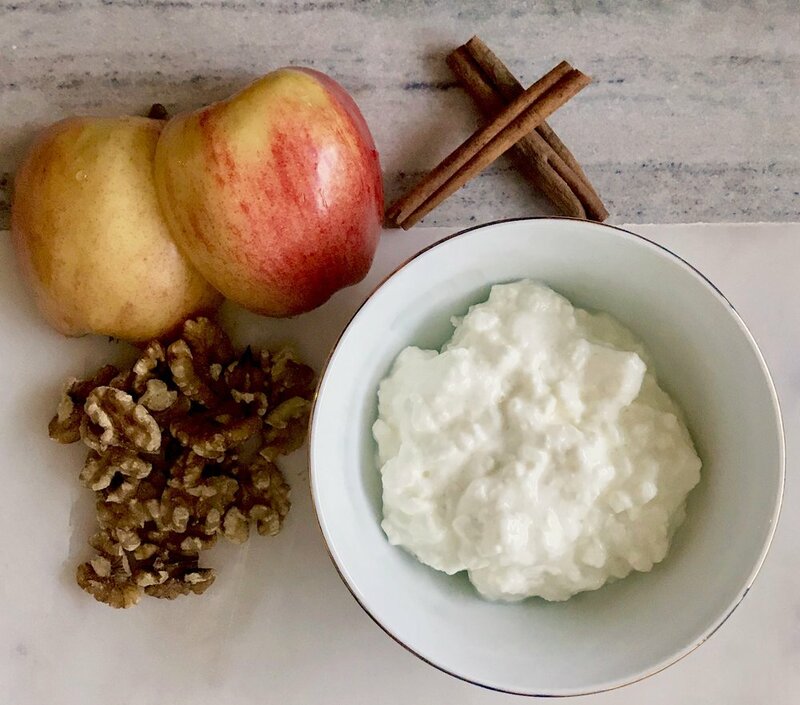 When I think of cottage cheese for breakfast I usually think of pairing it with melon, but this flavour combination is even better, and the addition of the walnuts adds extra satisfying healthy fats. Cinnamon high in antioxidants and is known to play a role in regulating blood sugar. I recommend higher fat (organic grass fed if possible for omega 3 content!) cottage cheese to improve the macronutrient ratio (ie lower in carbs) to keep you satisfied long into the day. 1. Dice apple and coarsely chop walnuts. 2. 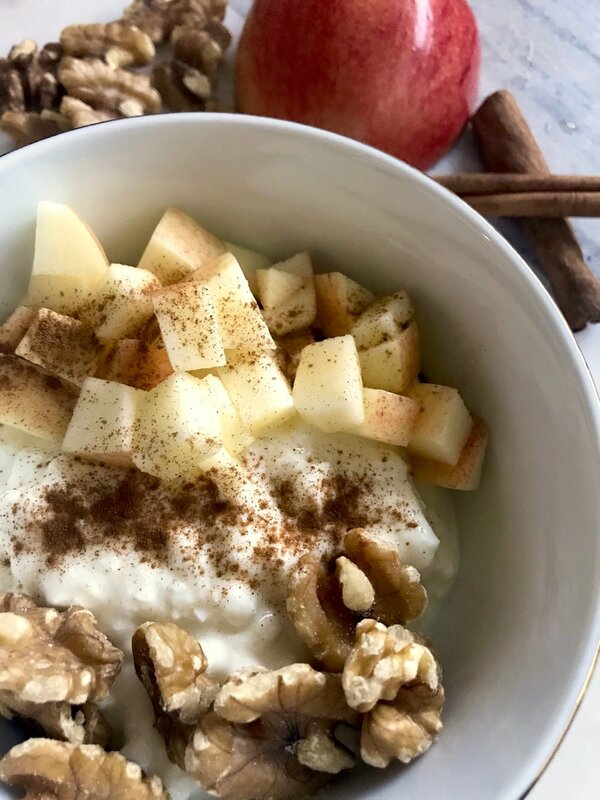 Put cottage cheese in bowl and top with apple and walnuts. 3. Sprinkle cinnamon over everything.